As true as that statement is, avoiding comparison is a challenge for most of us. Me, included. We’re constantly bombarded with images and information of people who seemingly have it all. It’s hard not to compare yourself. Even just a little bit. Can you avoid the temptation to make comparisons and still live in the world? And, keep up to date with your Instagram feed? Yes, you can. You just need a little awareness and a dollop of determination. Try these suggestions and you’ll see happiness instead of disappointment. Don’t waste your time and energy focusing on someone else’s garden. Use them to tend to your own. Sure, you can use that gorgeous garden as inspiration but that’s where it ought to end. What you see in someone else’s garden or life, might have taken them years of hard work to achieve. Use what you see to visualise what you want to achieve for yourself and then, tend to your own garden. As with any journey, you need a starting point as well as a destination. There’s no point in deluding yourself about where you are right now. Take the time to acknowledge your current situation and accept your life, as it is, right now. You’ll not only release a lot of frustration, you’ll also stick a ‘You Are Here’ pin in the map of your life. 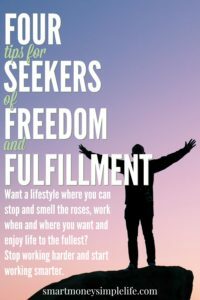 Now you can begin planning your journey to happiness and a better life. Everyone has something in their past that haunts them to a greater or lesser degree. The simplest approach is to acknowledge those things you’d rather forget as well as those that make you feel proud and understand that they have both gone toward making you the person you are today. Without those experiences you wouldn’t have gained the knowledge and wisdom you have today. It’s time to focus on today not yesterday. Social media is a wonderful resource for inspiration. It can also make you feel incredibly inadequate. If social media is making you feel more inadequate than inspired it might be time to limit your exposure or maybe go cold turkey for a while. If what you’re seeing isn’t serving your goal for yourself or your life, remove it from your life. If you’re not happy with the way things are today, remember you always have tomorrow. And the day after that. Keep working on setting goals, changing your mindset and visualising the life you want. As long as you’re constantly working toward what’s important to you, each day will better than the one before and you’ll soon stop making comparisons with others. Are you ready to start your own blog? Use my simple, step-by-step guide to take you through the process of getting hosting and setting up your blog, including recommended resources to ensure your blog gets off to a great start and starts making money from day one. A special hosting discount is also included (only available through my link) which gives you a huge discount and, a FREE domain). I’ve earned $1000’s through my blog, and you can too. When you’re stuck in the mindset of comparing yourself to others, you lose sight of the things in your own life that are worthy of gratitude. Sure, you might not have or be everything you want but, if you stop and be grateful for those things you do have that already bring happiness or good health or money into your life, you’ll begin to see more of them. What you think about, you create. Focus on and be grateful for all the good stuff in your life and you’ll see more of it come your way. The Smart Money, Simple Life range of digital planners, worksheets and checklists is coming soon. Another danger of comparing yourself with others is that it allows fear to make your decisions for you. And, fear based decisions rarely work in your favour. Always make your choices based on what you want, not what you don’t want. The pursuit of perfection is the pursuit of failure. Perfection is that shimmering mirage on the horizon you can never reach. So, stop wasting your time and energy. Those people you think are richer, smarter, more attractive than you that you hold as symbols of perfection have their own insecurities and doubts. And, their own symbols of perfection. Forget perfection and concentrate on the journey, instead. Talk to yourself as though you’re talking to your best friend. You wouldn’t constantly berate your best friend for their general ineptitude, lousy job, messy house, etc., would you? Well, don’t do it to yourself! Changing your inner dialogue is a challenge but the more aware you are of what you’re telling yourself, the better equipped you’ll be to change it. Be your own best friend and move your inner chatter from critical to supportive. When you see someone who is successful and has the kind of life you’d love to live, look for inspiration in what they’ve achieved. It’s impossible to make comparisons simply because you have no idea how hard they worked to get where they are, or how long it took or even what sort of skills and experience they brought to their journey. You can’t see what went on behind the scenes, you’re just seeing the final product. Instead of comparing what they have and you don’t; use that person as inspiration for your own goals. Use them as an example of what is possible. Wipe it from your vocabulary right now. Not only do we focus on what we lack when we use should, we’re making a judgment statement. We definitely don’t need any of those in our lives. So, if you hear yourself starting a sentence with “I should…” stop and rethink what you’re about to say. Rephrase it to reflect what you want to do not what you think you ought to do. The only person to compare yourself with is you. Look for ways you’ve improved your life and celebrate them. Are you setting goals and planning how to achieve them when you used to just ‘wing it’? Are you improving your health by eating better, sleeping more and getting plenty of fresh air and exercise when you used to live on hot pockets and your only exercise was walking from the fridge to the sofa? Have your knowledge or skills improved? Are you saving money every payday instead of spending it all? The only comparison worth making is where you are now compared to where you used to be. Use that comparison to keep you moving toward your goals. It’s your ‘Where am I?’ in the journey toward the life you want to live. Let your imagination guide you toward your goal. Write the story of how you changed your life from one of lack to one of prosperity and happiness. What did your life look like at the start? 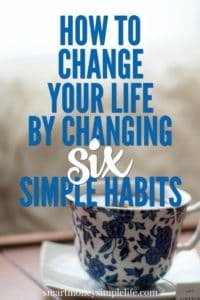 How hard (or easy) was it to make the changes you needed to? How does it feel to have achieved your goals? When you’ve written your story, find images that reflect the pictures in your mind and create a vision board. Place your vision board in a prominent position so you see it often and regularly re-read and update your story. 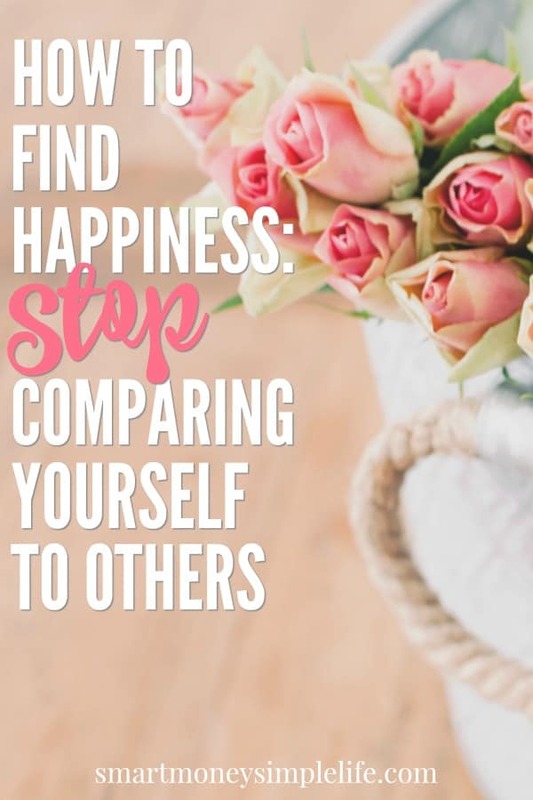 Don’t allow comparison with others to steal your happiness. Take back control of your life by practicing these steps and before you know it, you won’t care what others are doing because you’ll be so happy and content with your own life. You can do it. Start today!